Willis “Bill” Erway, age 88, of Wellsboro, passed away peacefully on Sunday, November 18, 2018, at the Robert Packer Hospital in Sayre. He married Lorraine (Loud) Erway, of Wellsboro, on June 26, 1949 and they shared 69 years of marriage together. He was born June 30, 1930, in Charleston Township, the son of the late Leon and Kathern (Hunter) Erway. Bill owned and operated his family farm in Delmar Township. In addition to his own farming duties, he was employed by Borden Milk Plant for 39 years and retired in 1996. He was a member of the Coolidge Hollow United Methodist Church for 76 years. He was also a member of the Middle Ridge Grange and the Future Farmers of America. Bill was a huge fan of the New York Yankees, the New York Giants and NASCAR racing. 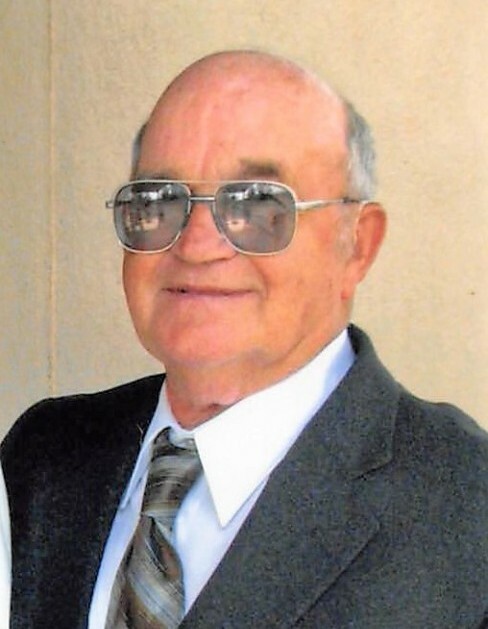 He also took great pride in dairy farming, coaching Little League & Babe Ruth baseball for 15 years, and mowing the lawns of local friends and neighbors. In recent years, he spent his leisure time watching soap operas and listening to older country western music. Bill was an avid hunter of big and small game animals. Most importantly, Bill was a family man and cherished the moments spent with family and friends. Left to cherish his memory are his loving wife, Lorraine; sons and daughters-in-law, Bob & Sue Erway of Myrtle Beach, SC and Ken & Julie Erway of Wellsboro; daughters and sons-in-law, Sharon & Jim Rawson and Carol & Leland Barrett, both of Wellsboro; nine grandchildren, Todd, Brandt, Taya, Travis, Luke, Kyler, Amber, Bart and Holly; 21 great grandchildren; several nieces & nephews; and many dear friends. In addition to his parents, Bill was preceded in death by his daughter, Brenda Bronson, his brother, Leon Erway, and his sister, Edith Goodwin. In lieu of flowers, memorial contributions can be made to the Coolidge Hollow United Methodist Church, 5926 Route 287, Wellsboro, PA 16901. Family and friends are invited to pay their respects on Saturday, November 24, 2018, from 11:00 a.m. until 1:00 p.m. at Tussey-Mosher Funeral Home, Ltd., 139 Main Street, Wellsboro. Bill’s funeral service will immediately follow visitation at 1:00 p.m., with Pastor Sherri Butters officiating. Burial will take place in the Wellsboro Cemetery. To share your fondest memories of Bill, please visit www.tusseymosher.com.